Product prices and availability are accurate as of 2019-04-25 03:05:55 UTC and are subject to change. Any price and availability information displayed on http://www.amazon.com/ at the time of purchase will apply to the purchase of this product. Note: This is the loose-leaf version of Educational Psychology and does not include access to the MyEducationLab. To order MyEducationLab® with Enhanced Pearson eText packaged with the loose-leaf version, use ISBN 0134027264 . 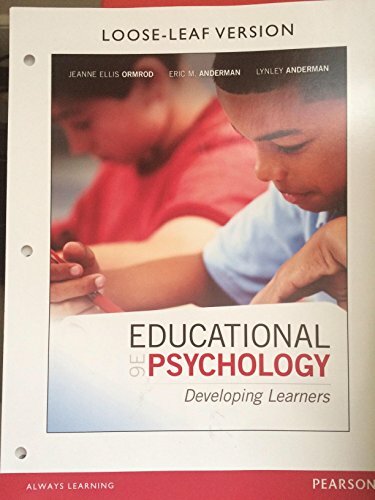 Helps readers understand their own learning and apply the core concepts and principles of educational psychology to themselves as learners and in classrooms as teachers. 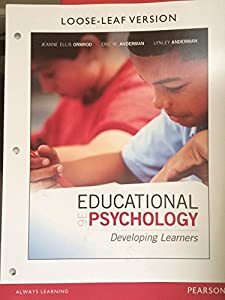 Educational Psychology: Developing Learners is known for its exceptionally clear and engaging writing, its in-depth focus on learning, and its extensive concrete applications. The text's unique approach helps students understand concepts by examining their own learning and then showing them how to apply these concepts as teachers. 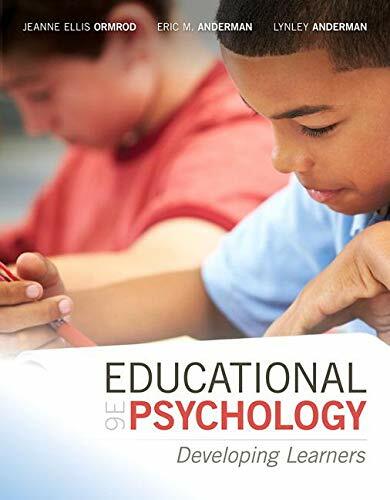 The text moves seamlessly between theory and applications, features the most extensive and integrated coverage of diversity, contexts of learning, and neuropsychology and brain development. It also includes innumerable concrete examples and artifacts to help readers connect educational psychology to real children and classrooms. This title is also available with MyEducationLab—an online homework, tutorial, and assessment program designed to work with the text to engage students and improve results. Within its structured environment, students see key concepts demonstrated through real classroom video footage, practice what they learn, test their understanding, and receive feedback to guide their learning and ensure they master key learning outcomes.